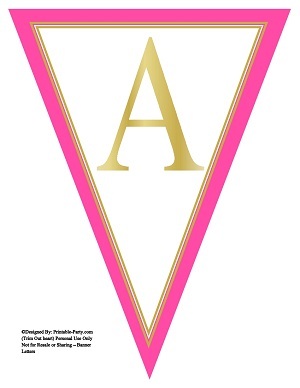 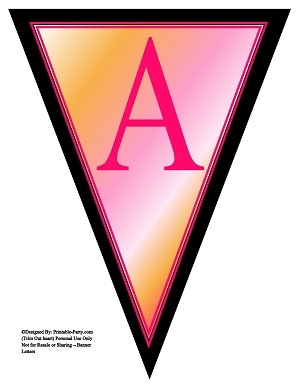 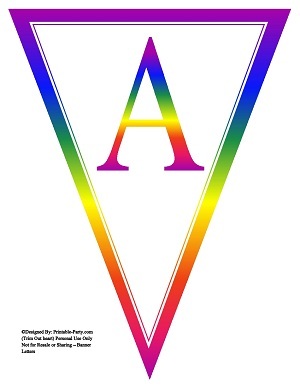 Colorful 8x10.5 Inch large triangle pennant banner letters A-Z. Great for personalizing your event or celebration. You can create your own personalized banner flags to say or spell out anything you'd like. Our PDF pack of printable pennant letters come in a variety of cool colors & styles. Create names, words, or, quotes for any occasion. 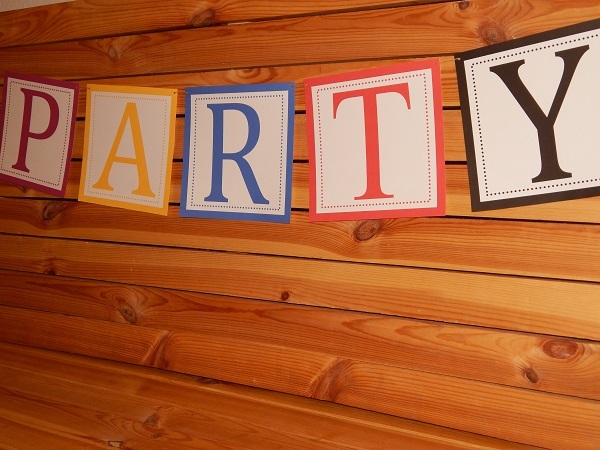 Perfect to use & decorate at schools, parties, picnics, church, offices, teams & more! These banner letters will trim out easily by using a sharp pair of scissors. 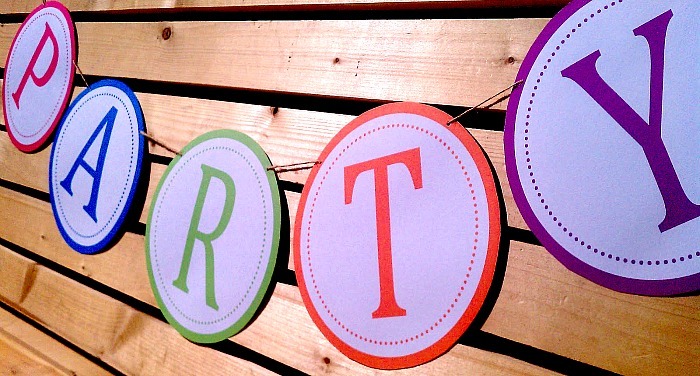 They are also very easy to hang. 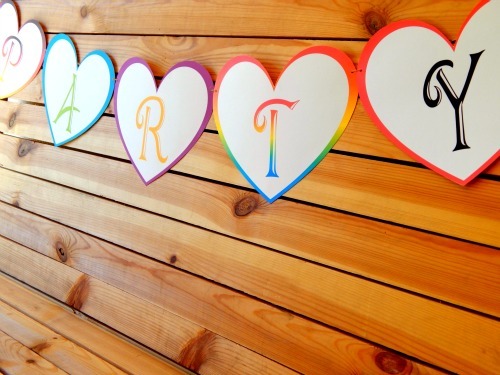 Also simple to punch holes in the top corners & hang with a string. 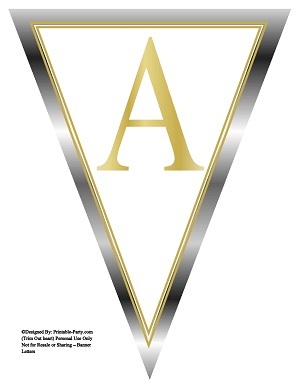 All of theses large triangle pennant letters come 1 alphabet A-Z per printed page. Banner letters look nice when printed on thick 8 1/2 x11 inch letter sized paper. We print on 110 lb bright white card stock paper. After you download your order, we suggest that you open it up using the newest version of Free Adobe PDF Reader for viewing & printing of letters. You can print your banner letters at home, office, local copy shop, or photo lab. Orders are available for you to download instantly via a file link. 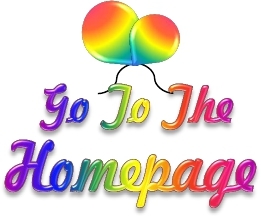 Instant orders & info are also sent to your email address.You can print all of the pages in your purchased printable files in unlimited amounts year after year. You will have them forever as long as you download & maintain the files on your computer or digital storage device. To learn more about our printables View Our FAQ or for any other questions you may have, feel free to Contact Us.